On the 9th of February I attended an event leading up to Valentine's Day. I remember looking on the Bullring app and noticed 'The Love Absolute' by Molton Brown. I had vaguely heard of Molton Brown and was kind of aware that they did bath products but that was about it. As I had never tried any of their things, I figured it would be a good idea to go check it out. For those who are, like me, not that familiar with Molton Brown, let me give you a little bit of background information. Molton Brown was founded in the 1970s as a line of shampoos and conditioners in a salon on South Molton Street, Mayfair, London. 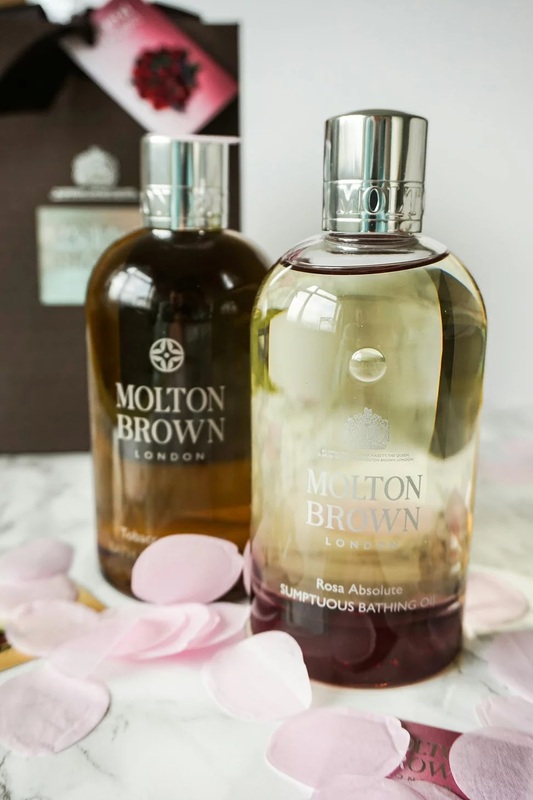 The name Molton Brown comes from the location of the salon on South Molton Street and Browns, a fashion boutique established by Caroline Burstein, parent of Molton Brown's founder. Forty years later, Molton Brown has grown into a beautiful brand with stores in many cities and lines used in many luxury hotels. 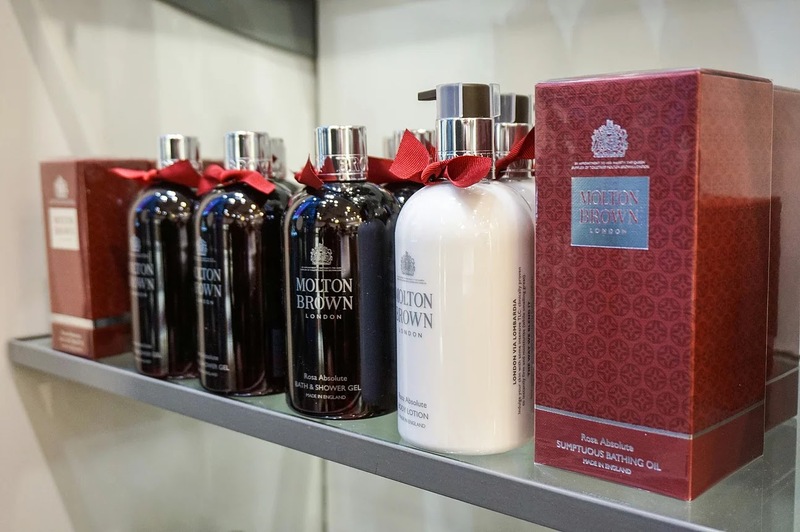 Next to hair care, Molton Brown now also offer hand care, bath and body, fragrances and a men's line. 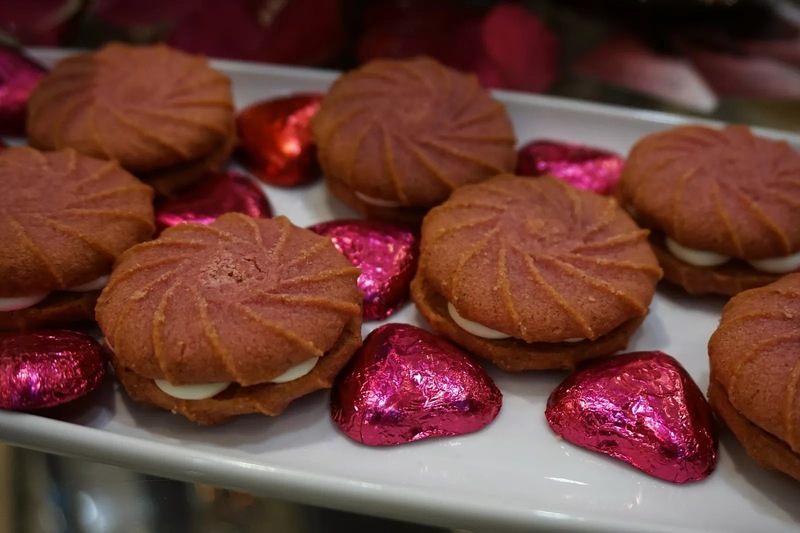 So this event on the 9th of February was all about Valentine's Day and I noticed that as soon as I walked into their little store in the Bullring. 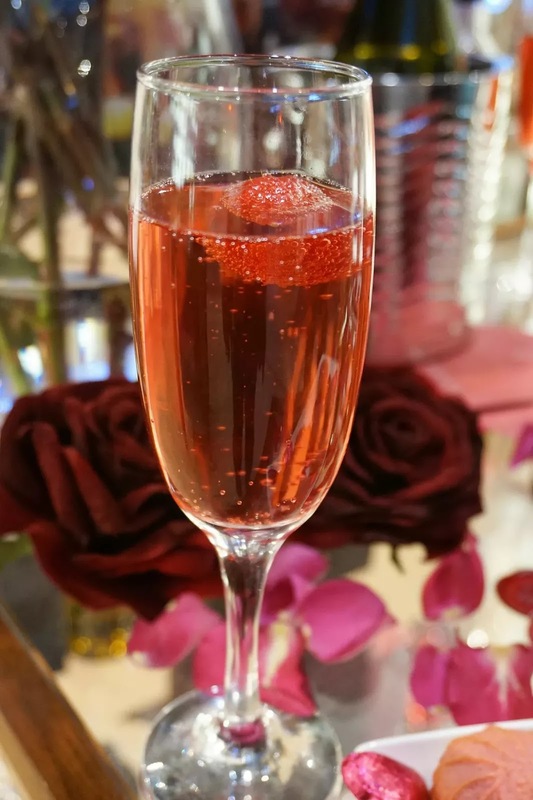 I am talking about a glass of red bubbles, roses and chocolates - what a way to start the evening! 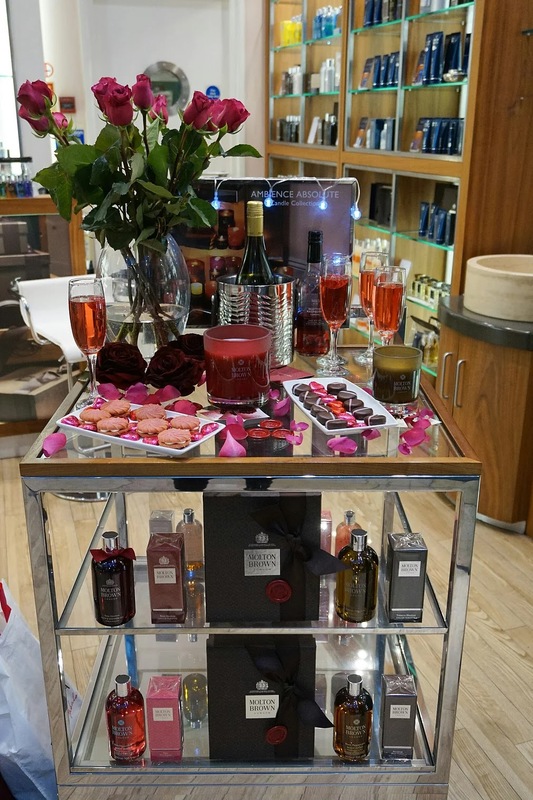 I met Martina, a lovely Italian lady who explained that the event was set up to celebrate the Molton Brown Absolute range with Rosa Absolute for women and Tobacco Absolute for men. Rosa Absolute is Voluptuous, Dramatic and Impassioned and really reminds me of deep ruby red, velvety rose petals. With red rose, red berries, cinnamon and clove, this truly describes Valentine's Day at its best to me. So feminine and luxurious. The roses used for Rosa Absolute come from Lombardia, Italy and they are extracted in a super concentrated aromatic oil which is called the Absolute. Of course I had to smell every bottle available in the shop and the thing I noticed most with this range is just how rich it smells - really beautiful. 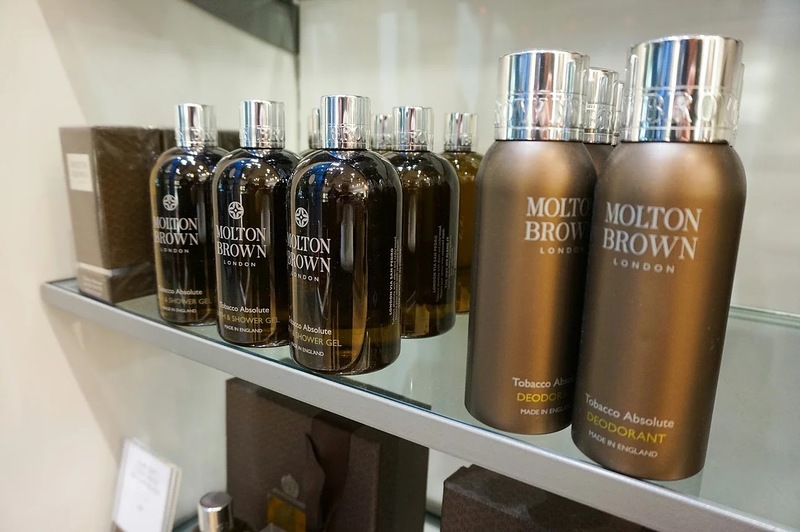 For men, Molton Brown has created the Tobacco Absolute range, inspired by woody Mahogany and tobacco leaves. Tobacco Absolute is Profound, Earthy and Cultivated. Molton Brown describe this scent as "A complex, warm combination of woods and mature tobacco absolute lifted by a subtle yet decisive hint of citrus" and I couldn't have put it better myself! When I first saw the bottle I thought "Hmm, I wonder what this smells like", mostly because personally I don't associate tobacco with a nice scent to be used in the bathroom. But I was so wrong! Tobacco Absolute has a wonderful, masculine smell that is not too strong and with a slight hint of sweetness. I found this so surprising but fell in love with it straight away. The tobacco used for Tobacco Absolute comes from South America and is inspired by 18th century botanist Dr William Houstoun, who discovered a new tobacco plant in South America and brought it to the botanical gardens in London. 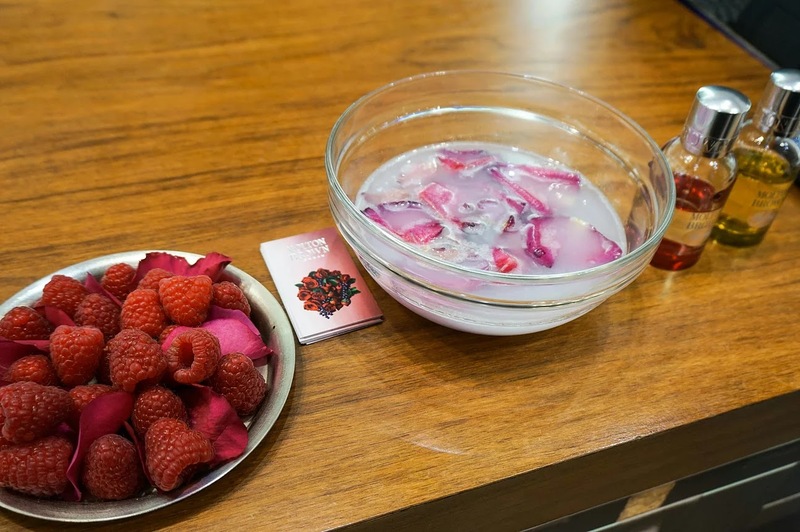 I ended up trying some other Molton Brown products as well such as the Ylang-Ylang Comforting Body Polisher that skincare specialist Lucy introduced me to that night and the Rosa Absolute Sumptuous Bathing Oil. As I felt completely indulged at the end of the evening, I just couldn't leave without buying some wonderful treats for myself and the husband. I ended up buying the Rosa Absolute Sumptuous Bathing Oil and the Tobacco Bath & Shower Gel. I have since then tried the oil and I can really recommend it. It's not greasy at all and it turns into a lovely milky colour as soon as you pour it in the water. And that smell..! I had a great time that evening and I am so glad I decided to go! Thank you Martina, Lucy and Cherelle for making me feel like a princess and for introducing me to everything Molton Brown. You have totally converted me! 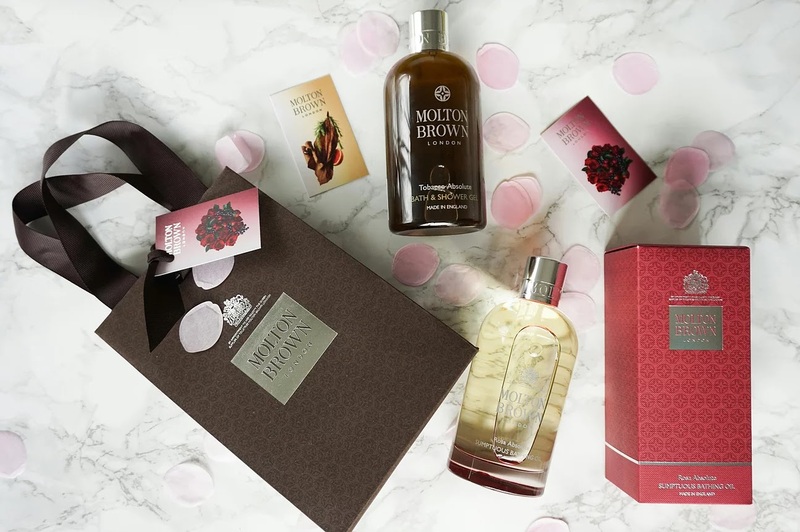 Join Molton Brown at their next event - The Patisserie Parlour on 23 March 2017 where they will be introducing their new Limited Edition Gourmand Collections. Get yourself booked in for a free hand/arm massage at your local Molton Brown shop and go check it out! 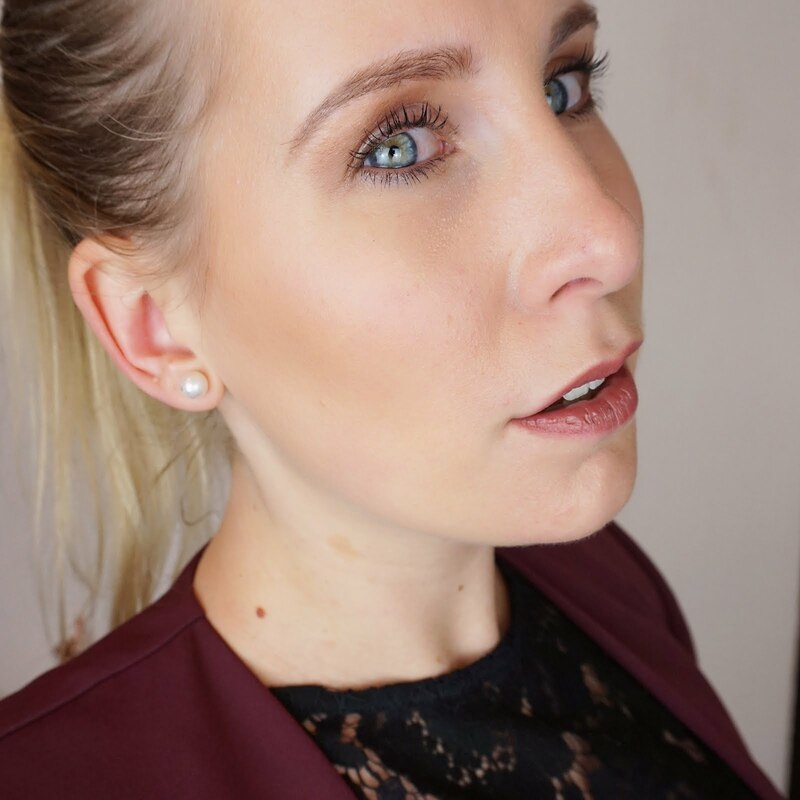 I hope you have enjoyed reading my blog post and are inspired to go try out some Molton Brown. 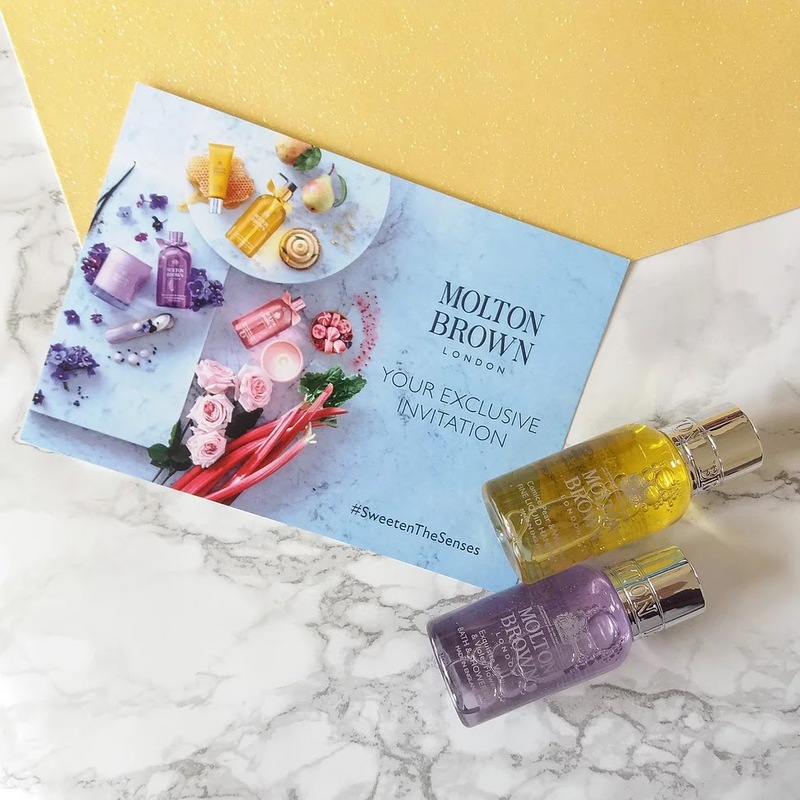 Have you had any experience with Molton Brown? 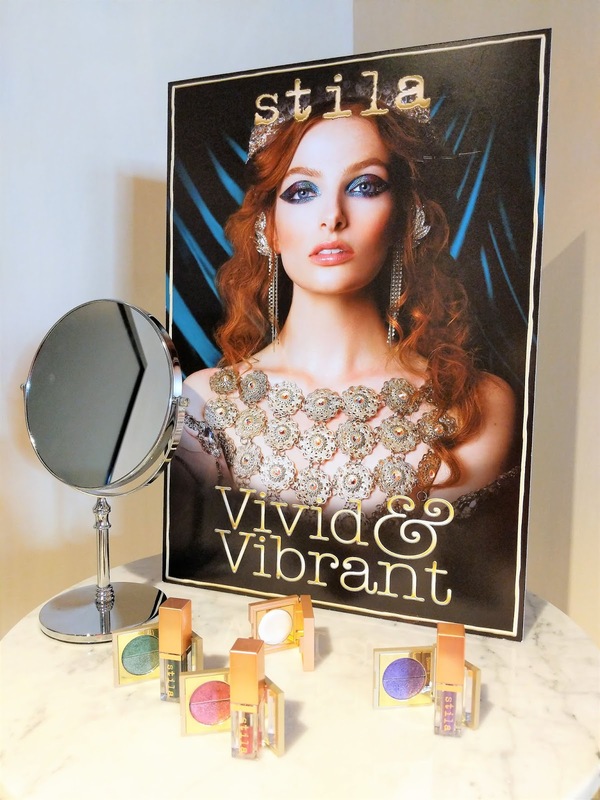 Which products do you absolutely love? I would love to read all about it, so please leave a comment!